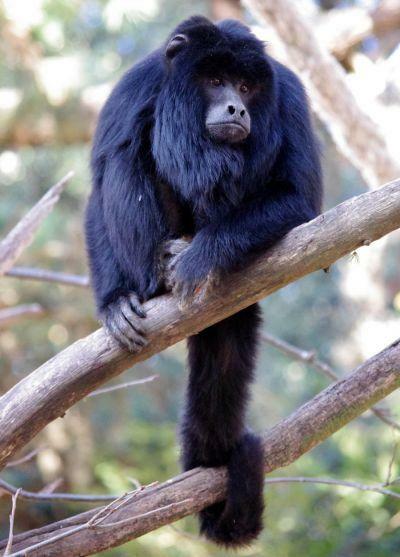 The Carayá monkey, also known as the "black howler monkey", is the loudest in the South American rainforest, and can be heard up to 16 miles away. They are also the largest breed of monkey, with some males measuring up to 90 inches tall. 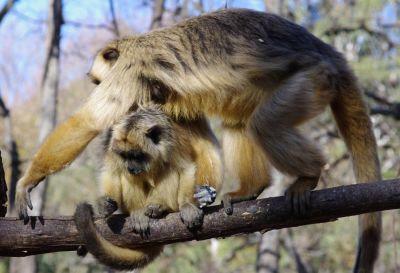 The ill-fated Carayá monkeys have become a symbol of illegal wildlife trafficking; sold as "human babies" by poachers into captivity as unconventional pets. The result of this cruelty causes not only aggression and neurosis, but serious health problems, which in turn leads to abandonment. The aim for the future at the rehabilitation reserve is to nurse these maltreated monkeys back to normality; to rescue, rehabilitate and restore them to their natural lifestyle in which they can survive. When the monkeys arrive at the reserve the process of dehumanization takes time. The monkeys learn to lose their fear; adapt to their natural surroundings, and to experience a feeling of freedom. Grooming is an important daily task for the monkeys, enabling them to socialise, form friendships, and later, hopefully, to reproduce. The director of the primate rehabilitation centre, Alejandra Juarez, speaks fondly of the monkeys: "I see their suffering tears when they reach the centre - dazed, and without soul. The great joy is when the sparkle returns to their eyes".